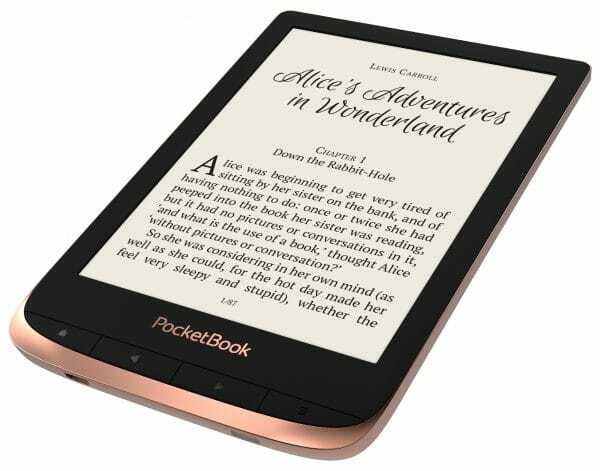 Featuring state-of-the-art technologies, the PocketBook Touch HD 3 is designed to give passionate readers a water-resistant, high-tech reader with SMARTlight, Bluetooth connectivity, rich audio capabilities, and more. 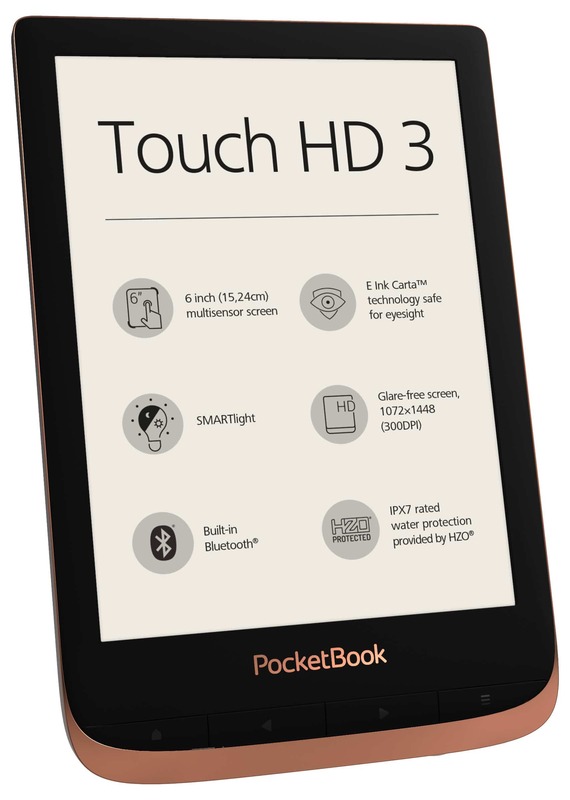 The PocketBook Touch HD 3 is water-protected with HZO technology for uncompromising reading enjoyment in the bathtub, pool or on the beach : An ultrathin coating reliably protects the electronics of the device from possible damage caused by moisture or liquids. The IPx7 certified device can be immersed in fresh water to a depth of one meter for up to 30 minutes without harmful effects. 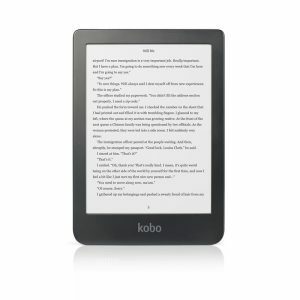 The extensive 16 GB internal memory allows the user to save a whole digital library or audiobook collection on the e-reader. The PocketBook Touch HD 3 supports 17 common book formats as well as 4 graphic formats (JPEG, BMP, PNG, TIFF). The powerful dual-core processor (2 × 1 GHz) ensures fast response of applications and services. 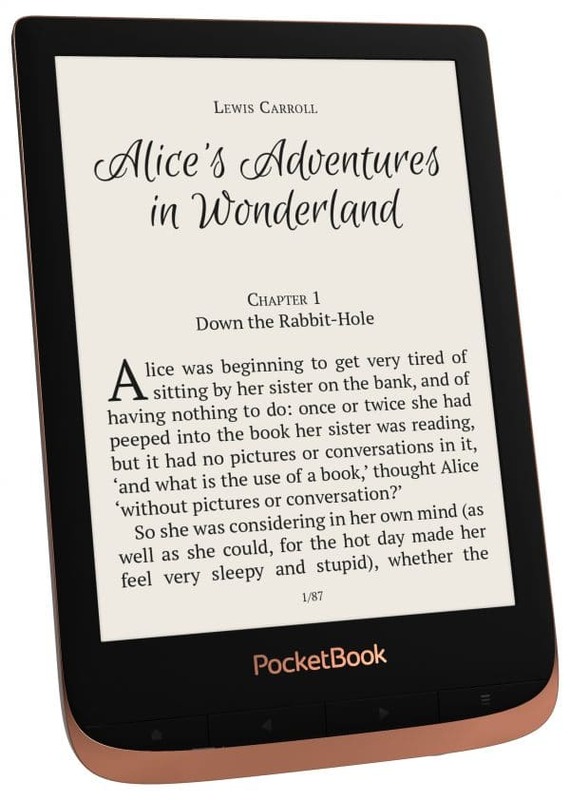 With integrated WLAN, Dropbox PocketBook, Send-to-PocketBook and the PocketBook Cloud, all contents can be sent directly to the device without connection to the PC. The preinstalled Abbyy Lingvo® dictionaries provide help with reading foreign language books with 24 language combinations. The PocketBook Touch HD 3 has a position sensor. 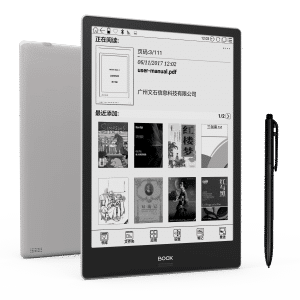 With its help, the user can easily choose the most comfortable way for him to hold the e-reader – either in horizontal or vertical position. 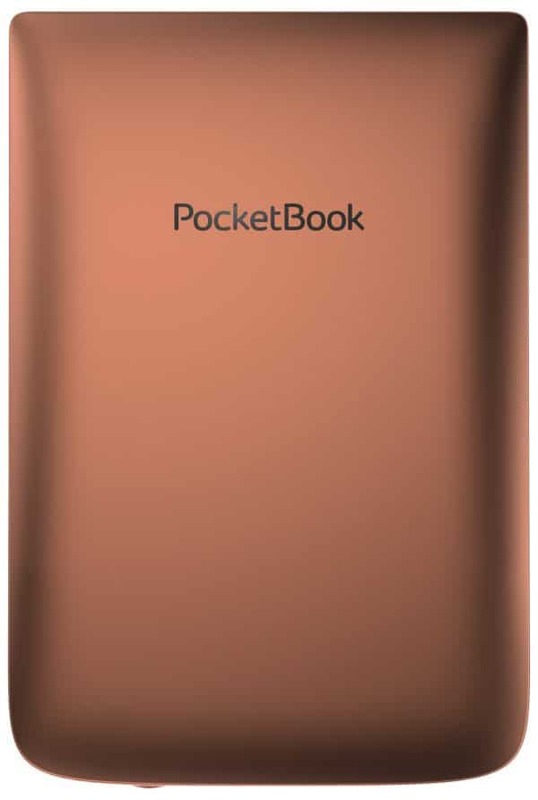 The integrated cover sensor in combination with a suitable PocketBook cover protects the battery from being used. 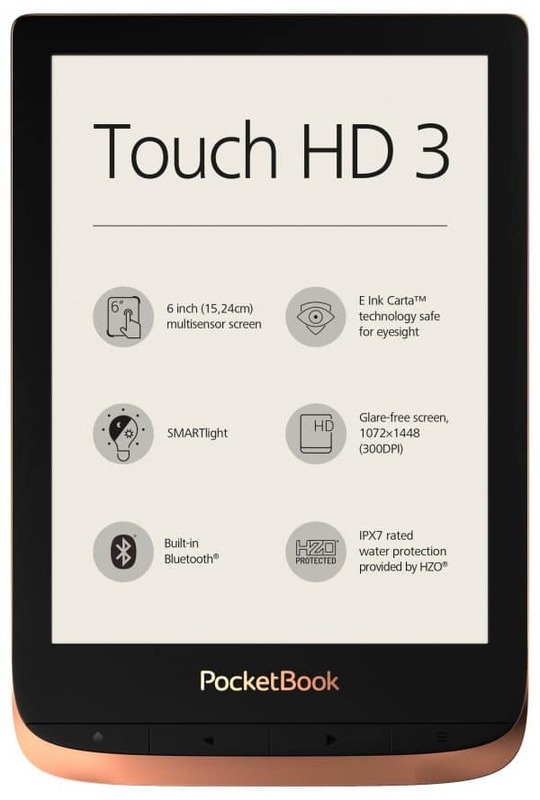 The device is equipped with a multisensory E-Ink-Carta TMtouchscreen with HD resolution (1072 х 1448, 300 DPI). 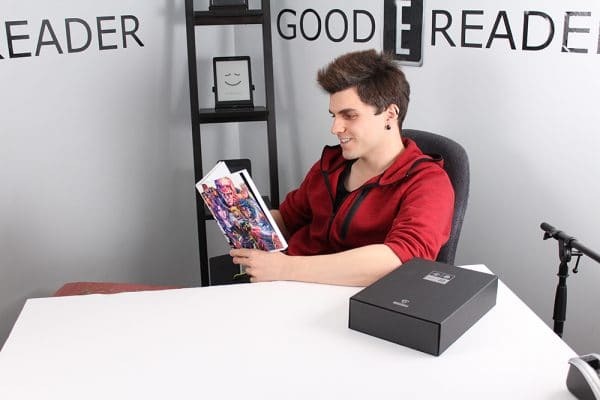 This provides a high-contrast and sharp typeface similar to that in a printed book.In addition to the brightness, the SMARTlight technology also allows the color temperature of the front lighting to be adjusted to your personal needs at any time of the day. In the automatic mode, which is activated by default, the changes in the time of day are made in accordance with the human biorhythm. In addition, any number of individual SMARTlight configurations can be created, stored, and managed, based on personal preference and daily routine. 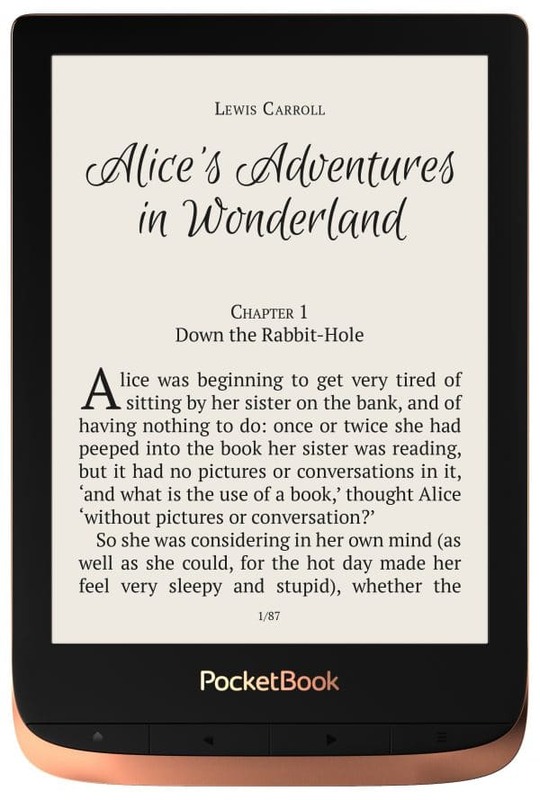 Both the brightness and the color temperature of the front lighting can be changed by swiping on the display without leaving the book. The PocketBook Touch HD 3 comes in the new PocketBook product design, which has a positive effect on the weight and dimensions of the E-Reader. With its compact dimensions (161.3 × 108 × 8 mm) and a weight of only 155 g, it is not only easy to hold, it even fits into almost any trouser or handbag. 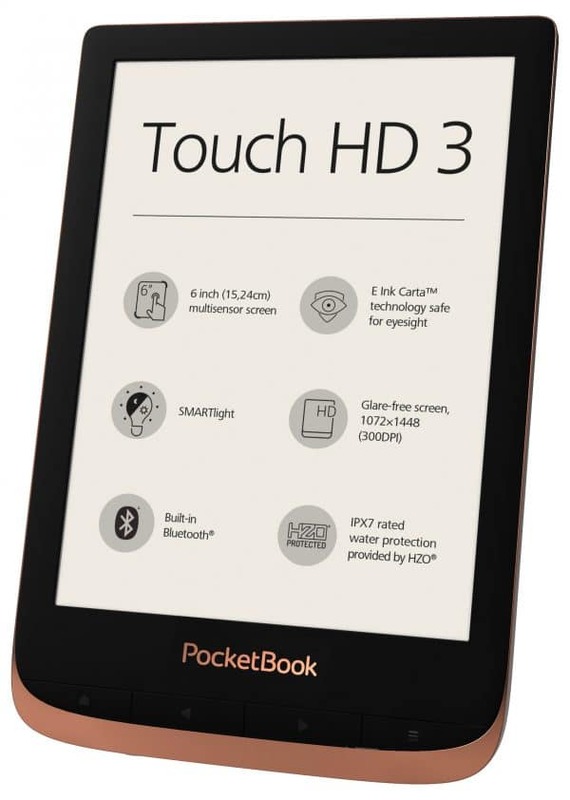 The PocketBook Touch HD 3 is available in the attractive color Spicy Copper. accumulator Lithium-ion polymer battery, 1500 mAh. 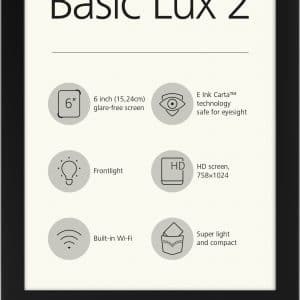 Up to 1 month of battery life, depending on the type of usage, connectivity and settings selected. 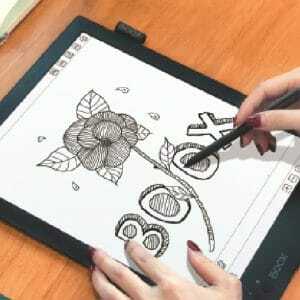 Additional functions E-book shop, library, dictionary, browser, audiobooks, music player, gallery, calculator, notes, RSS news, Klondike, chess, scribble, sudoku. PocketBook Cloud, ReadRate, Dropbox PocketBook, Send-to-PocketBook.